Since 1858 the gold industry has played a key role in Colorado’s economy. While this role has lessened in recent years – with gold poised to hit a 6-year high in 2018, it may prove to be a key part of the State’s future. One ASX listed mining and exploration company is well positioned to take advantage of this potential resurgence. With its primary mining operations in Colorado, this company has taken a community-focused approach and is working closely with locals and government officials to ensure best practice operations are observed. Indeed, with favourable regulatory conditions in Colorado and a renewed desire for people to work in the state’s mining industry, this junior explorer is particularly well placed to reap the benefits of these positive conditions. Let’s not make light of that point. Owning the freehold in America means you own the mineral rights. It is one of the reasons this company was attracted to the region aside from the quality of the mineral in the ground. Another important factor is the near total mining ban in the region following the 1992 Summitville disaster has been relaxed and the company has thus been working closely with government and the local community to make sure the opportunity is beneficial to everyone. In other words, the company has a rare, if not unique and front running opportunity here. Currently the company holds 100% ownership of two fully permitted gold mining projects: the Gold Links Mine, which will be the company’s upcoming focus and the Lucky Strike Gold Mine. Included in this holding is over 700 acres of freehold land that are permitted for mining and milling. The company also very recently strengthened its Colorado portfolio following the pending acquisition of the highly prospective historical Raymond and Carter gold mines, which adjoin the company’s Gold Links property. On settlement the company will hold approximately 2000 acres of freehold and approximately 600 acres of leasehold which has previously produced over 300,000 ounces of gold from narrow-vein, high grade ore bodies. However, success here is not guaranteed at this stage so investors should seek professional financial advice for further information if considering this stock for their portfolio. A historical producer, the Lucky Strike Mine and mill is located in Gunnison County Colorado and was acquired under the radar in October 2017. Discovered in 1885, the mine has produced gold at an impressive average grade of between 12-14g/t. Lucky Strike’s mill, which is currently being refurbished and updated is capable of processing 125tpd, with a potential to process up to 400tpd if required. Most promisingly, with no systematic exploration undertaken below 50 metres, the company believes there is great potential to extract high-grade gold from this site over the coming years. To facilitate this, commissioning began at the Lucky Strike site in January. The first phase is expected to be completed by April and involves a number of minor updates and changes at the mill. The second phase will focus on grade recovery. With permits to mine and the entitlement to extract 280,000 tonnes per annum, once commissioning is finished this junior explorer will be favourably positioned to take full advantage of the Gold links and Lucky Strike Mines and their high-grade resources. Positively, water coming out of the mine is cleaner than in the creeks due to quality water testing and a carbonation process, another good sign for the company going forward. Given these considerations, this junior explorer’s acquisition of the Lucky Strike Mine should be viewed as a bargain. Whilst Lucky Strike adds a further notch to this company’s gold exploring belt, the company’s Gold Links Mine is the already established, pivotal play where a great deal of exploration work is also being undertaken and is the focus of the next round of project work. Gold Links is located approximately 35km from the Lucky Strike Mine and forms an important part of the state’s Gold Brick District. The original Gold Links Mine operated in the late 1880s, and boasts historical gold grades ranging from 1.5oz p/t to 10oz p/t Au. 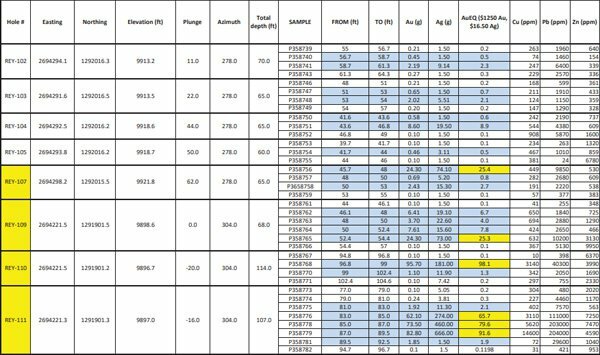 Recent high-grade assay results from the Gold Links site confirms the project as a mineable resource. This promises to add to the company’s current JORC compliant resource of 4.5Mt at 1.2% Cu and 3.9% Zn and 0.3g/t – derived primarily from its Fijian assets. With the company’s growing JORC resource and recent acquisitions, it has positioned itself favourably to emulate the success that other ASX listed junior miners have achieved in the past, such as St Barbara Mining (SBM:ASX) and Evolution Mining Limited (EVN.ASX). Lastly, the company already has an impressive executive team with over 100 years combined experience including Chairman and former Macquarie Group Managing Director Mark Johnson and the highly experienced former chief geologist of Placer Dome Greg Hall. It has now bolstered its senior management team by recently appointing Clint Fletcher as the General Manager of the Lucky Strike mill. This key position will prove integral for the company’s growth plans in 2018, as the Lucky Strike mill will be used to process the ore mined at both of the company’s Colorado mines. With all this factored in, it looks like this may not just be the year where this junior explorer matches its competitors, but where it potentially overtakes them. Investors have started to take notice of Dateline Resources (ASX:DTR). Since the beginning of the year, the company’s share price has risen an impressive 25.93%. This compares favourably to the ASX 200 index (ASX:XJO), which in the same period has declined 1.62%. There is reason for DTR’s recent growth and it comes down to its acquisition of the Lucky Strike Mine and Mill. DTR has already made considerable progress at its Lucky Strike mine and mill since acquiring it in October 2017. Strategically located a mere 35km from its existing Gold Links mine, the mill’s positioning will prove an invaluable gateway for processing ore mined at both the Gold Links Mine and the Lucky Strike Mine. 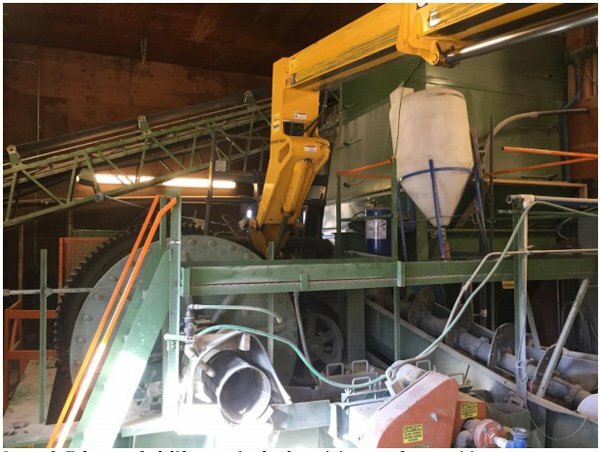 Phase one commissioning began in January this year, with 1,200 tonnes of stockpiled low-grade ore. From this low-grade ore, the company has already successfully produced gold concentrate. In addition to this, DTR has already begun to make a number of minor updates and changes to the mill such as automating ore feed to the ball mill and replacing worn parts (see pinion gear image below) along with stocking up on critical spare parts. With phase one commissioning expected to be completed by April just days from now, DTR is looking to move into phase two as soon as possible, which will focus on grade recovery. Once commissioning is finalised in April, the mill is expected to be able to process 125tpd. This may be ramped up to 400tpd if required. Finally, one of the most intriguing aspects of the Lucky Strike mine is the fact that as with all of Dateline’s assets in Colorado, systematic research has never been undertaken on it. With this in mind, it is DTR’s intention to use 3D seismic surveying and conventional drilling techniques to uncover the full potential of the site in the coming years. Moreover, given the impressive nature of the area’s geology and history, the company is also considering consolidating the site’s surrounding areas in the near future. As a more definitive understanding of Lucky Strike’s entire geological system is established, significant value for investors may be further realised in 2018 and beyond. DTR’s primary project to this stage is the 100% owned Colorado mine, the Gold Links Mine. Gold Links has recently returned highly positive results from its drilling and channel sampling program. Currently DTR is exploring two separate but equally promising vein systems on the Gold Links property: Sacramento and the 2150 vein. Given that the Gold Links mine is located in a proven gold mining province, with highly compelling geology, these results are not surprising. For example, by the end of 1906 the Sacramento vein system had already produced approximately 18,000oz Au and 400,000oz Ag of gold and silver, now valued at around US$20 million. The 2150 vein has already proven to be high grade, with over 600 metres of mineralisation across a 700 metre development drive. The exploration program is currently targeting the 2150 vein, with drilling conducted from the Reynolds Decline. With mineralisation open in both up-plunge and down-plunge direction. So far, assay results from 67 holes have been drilled and 74 channel samples have been taken across 2,072 metres at the Gold Links property. Of these, 37 were drilled to define the 9900-mineralised zone. 23 drill holes returned grades of more than 20g/t. 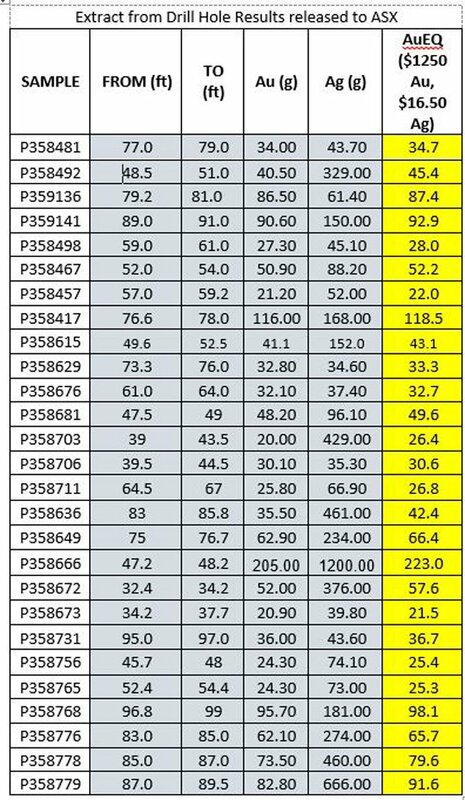 Six drill holes returned grades greater than 60g/t. One drill intersection even returned a grade of 223g/t. Promising assay results were also returned from the 74 channel samples at the Reynolds adit. Fifteen returned grades in excess of 20g/t, with seven returning grades in excess of 60g/t. The highest-grade sample from channelling is an impressive 145.7g/t. The results from both the underground drilling and the channel samples are now being assessed by CSA global and will be reviewed by the mining engineers in 3D for mine planning and profitable extraction assessment. Once phase two of commissioning at the Lucky Strike mill is completed and CSA’s results are finalised, DTR aims to supply the mill with the high-grade material from the underground 9900-mineralised zone for production. As with the Lucky Strike mine, many of the veins spread across Gold Links 900-acre property have yet to have extensive exploratory work done on them since being reawakened 100 years ago. Yet with compelling historic workings the company holds the view that the old timers left plenty behind and that these veins are highly prospective. To complement its Lucky Mine and Gold Links assets, DTR recently made moves to acquire the Raymond and Carter gold mines which adjoin its Gold Links property, and are highly prospective historical gold mines covering approximately 1,300 acres. DTR has entered into an agreement to purchase the freehold properties for $2 million cash. Once settled, DTR will hold 2000 acres of freehold and approximately 600 acres of leasehold land which has produced over 300,000 ounces of gold from narrow vein high grade ore bodies. 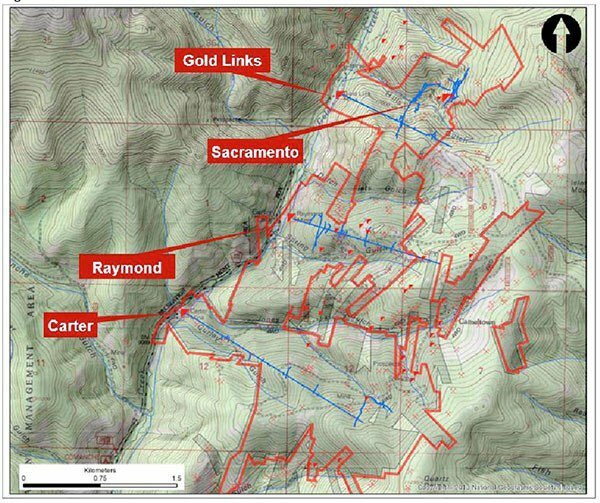 The good thing for DTR is that like the Gold Links and the Lucky Strike, The Raymond and Carter properties are underexplored territory which could reap vast benefits. Of course, it is an early stage play and investors should seek professional financial advice if considering this stock for their portfolio. As we mentioned previously holding permitted ground in Colorado is rare and owning the freehold gives DTR 100% of the mineral rights, with no deadline to work to. That in itself should be enough to pique investor interest. Put it this way: owning permitted mining ground in Colorado is like buying large chunks of Kalgoorlie before most of the near surface ore was mined out using modern mining techniques. The Carter Mine was in production until 1982 when the mill burnt down and due to the gold price at the time wasn’t rebuilt. However, the upside here is that DTR’s land holdings host multiple vein structures which may extend over 3.5km on strike from the Sacramento zone the Carter mine. Ergo, it looks to be a single connected big gold system. An Atlas Minerals non JORC compliant Estimated Mineral Resource report claimed that the Raymond and Carter properties hosted 1.5 million tonnes at 15.5 grams per tonne for a total of 750,000 ounces of gold. The report cannot be verified by the company, and it has no JORC compliant evidence that this estimate is correct, however all exploration undertaken by DTR will aim to provide JORC-compliant results. The image below image illustrates DTR’s combined freehold landholding in the district that hosts the Gold Links, Raymond and Carter mines (red lines) and the map of the old workings (blue lines). As you can see, it is a significant area and the land in between the blue lines (unexplored area) is far greater than the area covered by the blue lines (old workings). DTR is now digitising all of the old maps and workings that include assay results taken from surface samples. Once done, the data will be used in conjunction with a 3D seismic survey of the area. Other companies that have adopted this strategy with phenomenal success are the $3.9 billion capped Northern Star (ASX:NST) and the aforementioned, Evolution and St Barbara. These billion dollar-plus capped companies were at the forefront of the renaissance of Australian goldminers and DTR hopes to join them with its own potentially top performing assets. 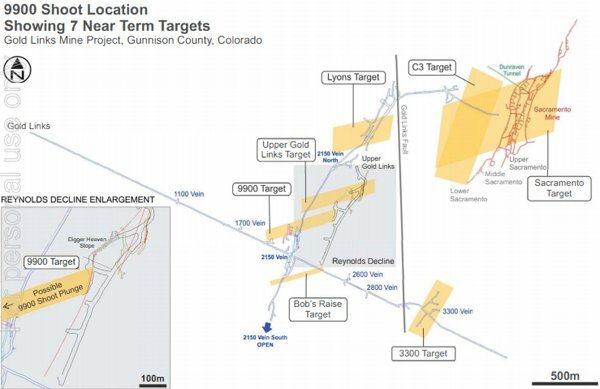 The Raymond and Carter gold mine acquisition adds scale and optionality to DTR’s growing portfolio in Colorado and according to the company is a clear reflection of its confidence in this highly prospective district that is now being explored using highly modern exploration techniques that could add considerable value to its asset base. In addition to the positive news flow coming from the company’s Colorado mines, DTR’s attractiveness as an investment looks poised to heat up as the price of gold shifts in 2018. With geopolitical tensions rising and increased demand for physical gold coming from countries like India and China, some have predicted that the price of gold may rise up to 20% in 2018. 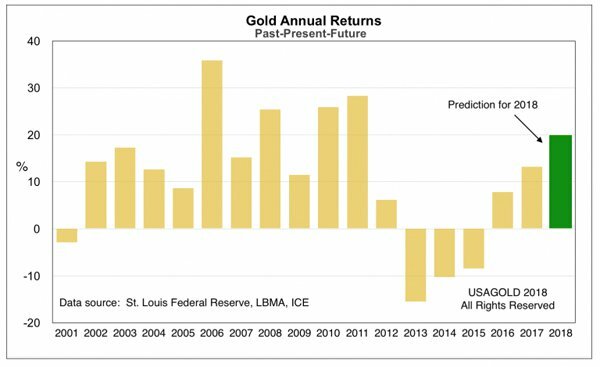 Such predictions come during a period where many claim we are close to reaching peak gold production. For example, Mining.com has claimed that the majority of easy to access, low cost gold projects are a thing of the past. Others, such as Chairman of the World Gold Council, Randall Oliphant has argued that 2017 marks the year where “the most [gold] that will ever be produced” was produced. Such comments, among others, has led some analysts to maintain that gold may rise above US$1,400/oz in the coming year. Senior analyst, Phil Flynn, from Price Futures Group agrees with this sentiment, saying that: “2018 is going to be a good year for gold, and it should shine bright in the new year”. However it should be noted that the price of commodities such as gold does fluctuate and therefore investors should maintain a cautious approach to any investment decision made with regard to these commodities. Given that gold is currently sitting at a 6-year high of US$1,324/oz – a target of US$1,400/oz and beyond is not unreasonable. Conclusively, even if we have reached “peak gold”, with supply now declining, the demand for gold continues to trend upwards. Gold simply cannot be replaced. Basic economics tells us that these factors should result in sustained upwards pressure on the price of gold over the long term. This is exactly what prospective mining and exploration companies, such as DTR have been banking on. With the considerable progress made at DTR’s Lucky Strike and Gold Links mines, it’s unsurprising that mainstream analysts are starting to take notice of this junior explorer. 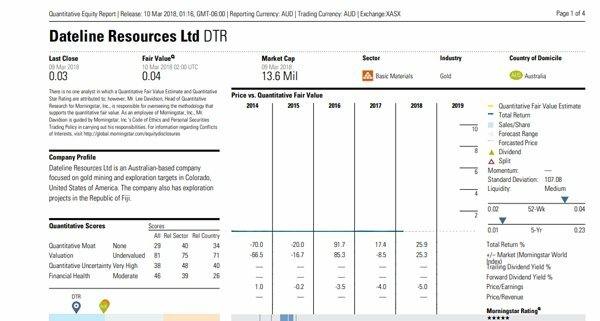 A recent independent research report by Morningstar gave DTR a “fair value” of $0.04. The company is currently trading at $0.034 at the time of writing. If this estimate is correct, that would equate to a 17.65% share price increase, on top of the 25.93% rise we’ve already seen since the beginning of 2018. With DTR’s market capitalisation standing at around $21 million, and these positive predictions coming from Morningstar, it appears there is still plenty of upside for this junior explorer in 2018. It should be noted that broker projections and price targets are only estimates and may not be met. What’s coming next for Dateline Resources? With strong assay results coming from the Gold Links Mine, quick progress being made on commissioning at the Lucky Strike Mine and mill and the pending acquisition of the Raymond and Carter gold mines, 2018 is shaping up to be great year for DTR. Following a $4 million rights issue last October and a very strong share register, DTR is well-placed to execute its project development plans in 2018. Not only has the company made strong progress on its Colorado projects since finalising the Lucky Strike acquisition in February, but the fact that that none of these mines have been systematically explored using modern mining technology proves especially promising for DTR to unlock future value. Already we’ve seen sentiment turn positive on DTR this year, with mainstream analysts weighing in and the company’s share price rising over 20%. If gold can breach the US$1,400/oz mark in 2018 and DTR is able to meet its production targets and project goals, this influx of positivity from investors and analysts may prove to be just the tip of the iceberg.